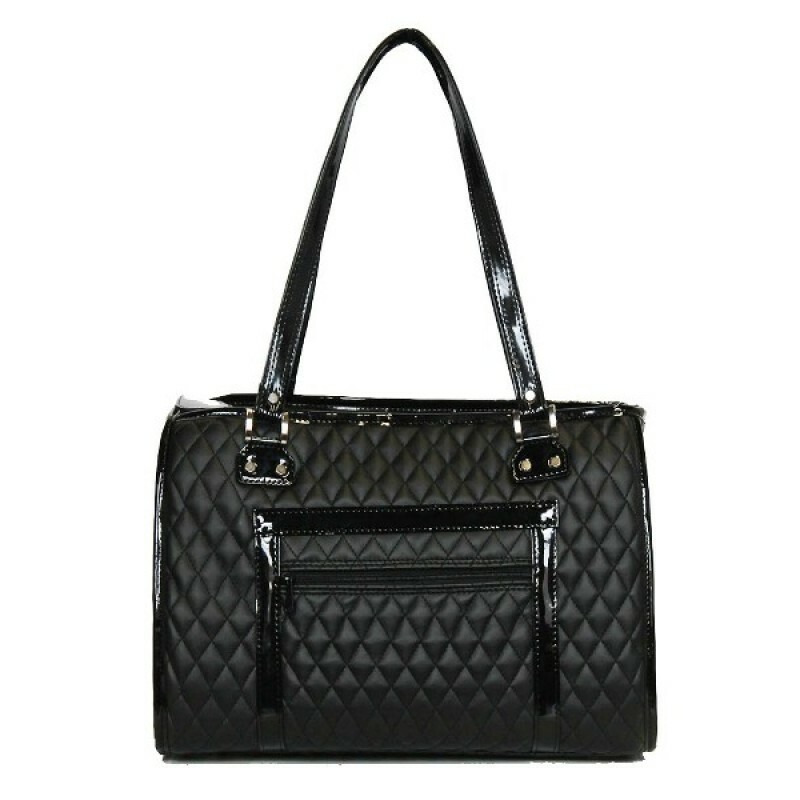 The Payton is now available in chic black quilted! The Payton Bag is part of the made in the USA collection of designer dog carriers from Petote. Tote your dog in style with the handsome Payton Bag! This timeless, classic dog carrier will always be in style. The Payton Bag is a stylish, unisex dog carrier available in shown in chic black quilted faux leather and trimmed with shiny black patent trim. Silver signature hardware and chic styling make this bag one you will want to carry all the time. The Payton is roomy enough to accomodate dogs up to 12 lbs. Ventilated on top and sides with roll up/down zipper window so your dog can stick it's head out. The Payton Bag has one exterior zipper pocket for storage. The Payton Bag is proudly manufactured in the USA.